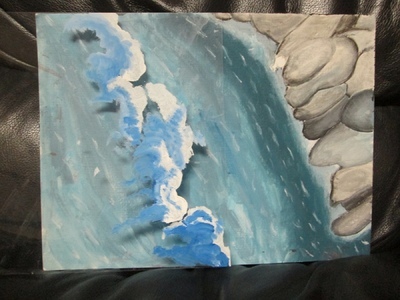 A bird's eye view piece with moveable waves over a shoreline. Acrylic paint on water color paper and transparency. 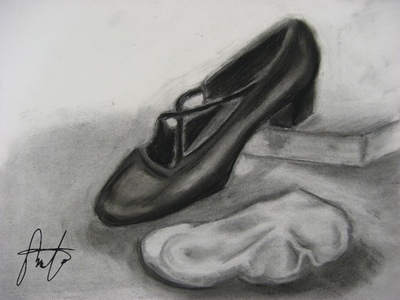 Shoe and sock still life. 11x14" charcoal. 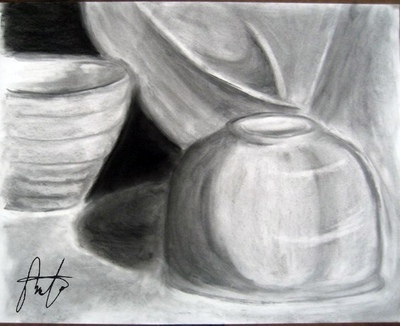 Still life study with light and dark values, no lines, only shapes and tones. 24x18" charcoal. 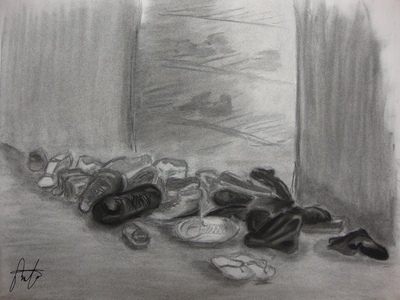 Pile of shoes still life. 11x14" - charcoal. 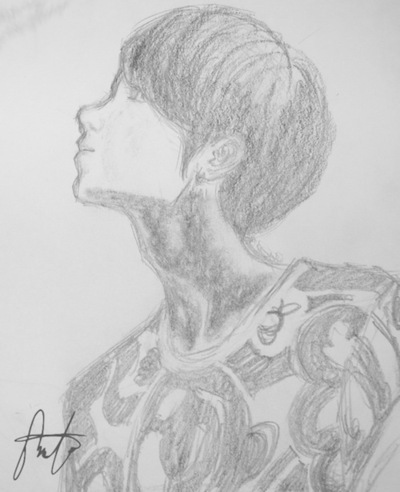 Sketch of 이성종 in the 2011. 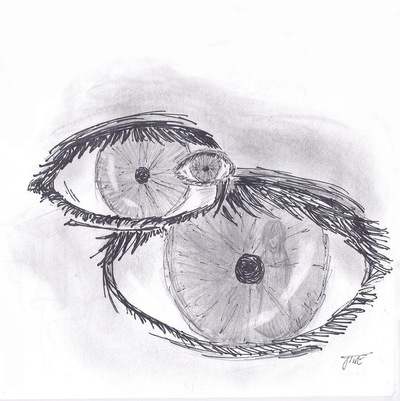 3B graphite pencil. 7x9"